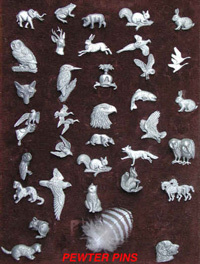 Solid pewter pins in a wide range of beautiful designs. 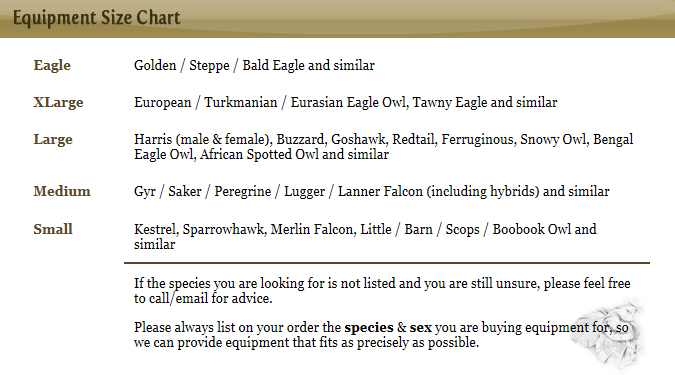 These are an absolute must for every hawking waistcoat or bag, but also a really nice gift idea for non-falconers too. 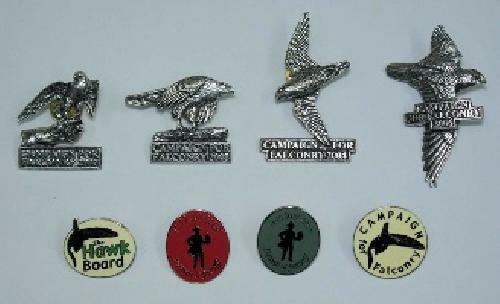 The wide range offers options for the horse rider, wildlife lover, fisherman and huntsman, or for something exotic...there's even an elephant pin as well! An excellent stocking filler for your loved one (no, not your bird! ), or small gift for your friends or colleagues. Please note: Numbers are limited in some designs. Enlarge Photograph All proceeds go to the Campaign for Falconry to help protect our sport. Only a few left. 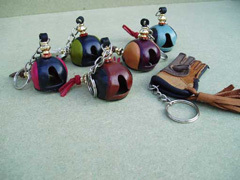 Enlarge Photograph Perfect miniature leather falconer�s glove keyring with tassel. Enlarge Photograph Perfect stitched leather hood keyring. Enlarge Photograph Super bright, blue LED. Lifetime guarantee. The power in this tiny light will amaze you! 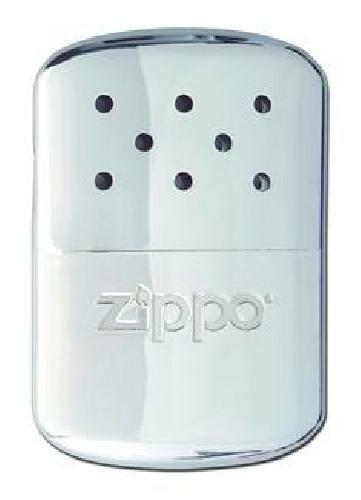 Enlarge Photograph At last, I have stock of these brilliant hand warmers.� Constructed from highly polished stainless steel they will last for up to�12 hours and are fuelled by lighter fluid. (not supplied) Complete with drawstring pouch, two year warranty and full instructions. Slip it in your trouser pocket and it will keep more than your hands warm! Gift Voucher - Yes, they look better than the picture but let's not give too much away. Gift Voucher value starts from £5.00 up to.......................... you name it! These great embroideries will iron onto virtually anything and almost certainly make you an instantly better falconer!! Iron one onto your arm.......much cheaper than a tattoo! Hey kids, I'm only kidding!